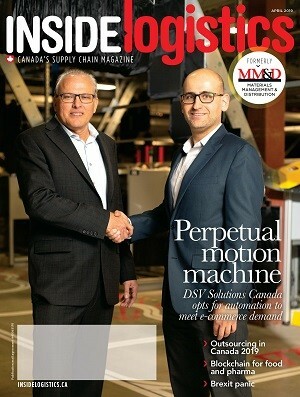 MONTREAL – Tecsys Inc. has acquired PCSYS A/S, a Danish technology company. Founded in 1990, PCSYS is a leader in Europe when it comes to software and hardware solutions for warehouse management, transportation management, and labelling systems. The organization supports more than 1,000 companies with technology to manage changing requirements. “PCSYS has found a like-minded customer-first spirit with Tecsys, and we are pleased to welcome their employees to our growing team,” said Peter Brereton, president and CEO of Tecsys. “On behalf of our team, I’m truly excited about the new opportunities our customers and employees will have as part of the Tecsys family,” said Klaus Juhl, CEO and partner of PCSYS. Tecsys purchased 100 per cent of the shares of PCSYS for an aggregate purchase price of DKK (Danish Krone) 67.0 million (approximately C$13.7 million), subject to adjustments. Tecsys funded the purchase price with a bank term loan of C$12.0 million and existing cash. PCSYS had revenue and operating profit for its fiscal year ended September 30, 2018 of DKK 75.3 million (approximately C$15.4 million) and DKK 9.0 million (approximately C$1.8 million), respectively. Tecsys expects the acquisition to be immediately accretive to operating profit, based on PCSYS’ historical financial results.